Autumn is a time for transitions, and that is certainly the case for AroCell. The first transition that may be apparent is that we are refocusing our newsletter outward a customer-oriented market. 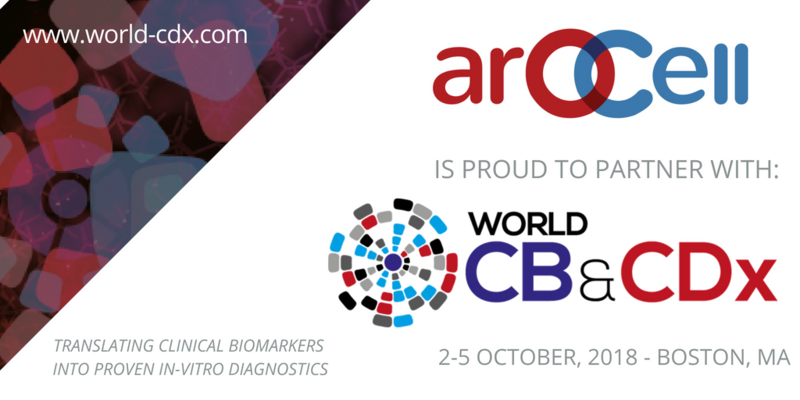 The AroCell newsletter will be a source for providing information about our activities and products for future collaborators and customers in the field of biomarker and oncology research. We will continue to provide information to investors by means of other channels, like press releases, presentations and other IR activities. In addition, we are planning to make a facelift of our home page to accommodate the feedback we have received recently from our stakeholders. We will get back to this in more details within the near future. Another transition process occurs within our organization. We recently announced the addition of Anders Hultman as new Chief Financial Officer, and the search for the new Chief Executive Officer for AroCell is being actively pursued with great diligence. It is also a great pleasure to announce that AroCell hired Alona Nyberg as Research Engineer and Marketing assistant! Alona has attended the Master Program in Molecular Biotechnology Engineering at the University of Uppsala and has worked at Thermo Fischer Scientific prior to joining AroCell AB. AroCell has received a Notice of Allowance stating that the U.S. Patent and Trademark Office intends to grant the company’s patent application entitled ”Monoclonal Anti-TK1 Antibodies”. This relates to AroCell’s proprietary monoclonal antibodies that enable the specific and sensitive Thymidine Kinase 1 assay, the TK 210 ELISA. The review article: “Thymidine Kinase 1 as a tumor biomarker: technical advances offer new potential to an old biomarker”, analyses and summarizes recent publications describing research on TK1 as a biomarker. The focus is on the application of TK1 immunoassays to the study of solid tumor diseases. No comprehensive review articles on TK1 have been published in recent years, and earlier reviews have focused primarily on hematologic cancer. In this article, authors Kiran Jagarlamudi, Ph.D. and Research Manager at AroCell, and Martin Shaw, AroCell’s Business Development Manager, analyze and summarize recent literature on TK1 as a tumor biomarker and present ideas and possibilities for its application in drug discovery and clinical studies.TK1 is showing great potential as a biomarker for monitoring progression or regression of the disease, recurrence, and response or resistance to therapy, hence to optimize new and established therapies for various forms of cancer. This timely and relevant review has been downloaded in the past month around 500 times from the Future Medicine journal site. The review article may be found on PubMed and will be published in print in the September 2018 edition of Biomarkers in Medicine. AroCell will be participating with a booth in the exhibition where Martin Shaw and Alona Nyberg will be representing AroCell. Martin Shaw will also be giving a presentation on Friday, October 5th at 2 pm, entitled: “Improved monitoring of tumor proliferation with a novel serum biomarker”. The focus will be on new data on the application of TK1 as a translational biomarker in drug discovery, development, and clinical research. The theme of this year´s meeting is Tumour Diagnosis and Therapy – The Role of Biomarkers. In line with this theme, Professor Staffan Eriksson will give an oral presentation on the correlation between the TK 210 ELISA and activity-based methods, i.e. LIAISON® Thymidine Kinase, and 3H-dThd phosphorylation assays, entitled “A performance evaluation of three currently used thymidine kinase 1 assays in sera from patients with hematological malignancies shows high concordance”. In essence, the new results that will be presented show that TK 210 ELISA has the same diagnostic performance as the LIASION® Thymidine Kinase assay using sera from patients with hematologic malignancies. However, the TK 210 ELISA acquires advantages in terms of robustness, ease-of-use and it can be adapted to automated high throughput ELISA platforms present in most routine laboratories. The TK 210 ELISA has also the potential to be a valuable tool in breast cancer management as previously described (Tumor Biology, 2016). The new Abstract will be published on the ISOBM’s web page later this year. Both Kiran Jagarlamudi, Ph.D. and professor Staffan Eriksson, will be available throughout the whole meeting to discuss science and clinical collaborations. The next AroCell newsletter is planned for distribution in November, where we will follow-up on some of these activities we have mentioned above and more.